Hugo stitching "red fire", he's becoming quite confident using a real needle. 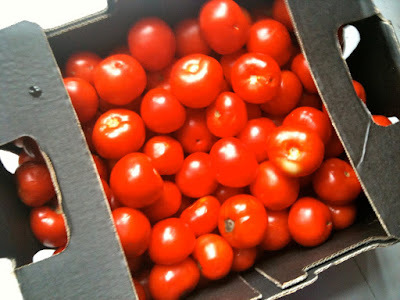 Box of sauce tomatoes, not mine sadly, from the grocer. 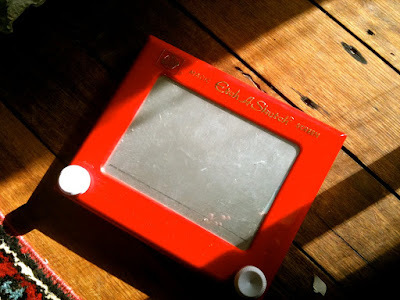 ...red toys to pick up. Finding peace and calm in the busyness of our days. Bottling tomatoes, watching little ones stitch, washing laundry and picking up toys. There is comfort in the rhythm of home, while we enjoy these last few days of summer holidays. Thank you so much for your thoughts and kind words about the loss of our friend. I love that Hugo is into the real world of needles. I need to get Noah into the real needles, the plastic ones are all broken and I think very difficult to stitch with! 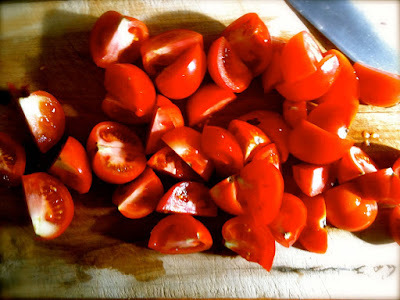 Love all your red photos, the vibrancy of those tomatoes is incredible. Have you been watching the Gourmet Farmer? 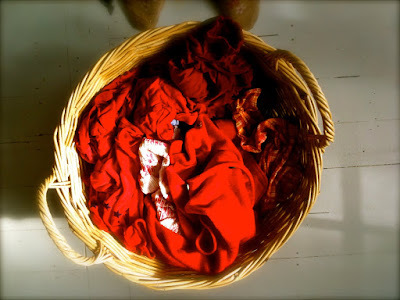 Hi, Red is the color of summer, bright and vibrant, just like your friend who passed. Hi from Marie in New Zealand. I've just come to the bottom of one of those sauce tomato boxes, the last few night shave been filled with the delicious smells of roast tomatoes! thanks for sharing your red - and thinking of you with your loss.